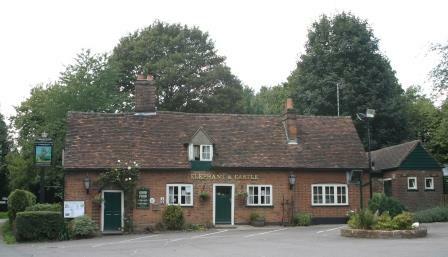 This lovely country pub with a timber frame dating from the 17th Century, although it was later clad in red bricks dated 1794. Inside there are even older chimneys (possibly 16th century) and a 200 feet flint-faced (possibly medieval) well which is lit up so you can look down it. It is believed that some of Oliver Cromwell's troops were billeted here during the English Civil War between 1642–46.